Our man and van company, licensed to work in South London, has flawless paperwork and we are also completely insured. In case anything goes wrong you will be completely reimbursed. This is unlikely to happen, however, as our personnel is highly capable of pulling off even the toughest removal jobs. We have a lot of experience in this field and we also train our man with a van movers according to the highest of standards of the sector. They are all very knowledgeable and will make sure that even the most fragile goods you have a safely loaded and delivered to your doorstep. There is no doubt in our mind that we are indeed the best man and van company in South London that you can count on no matter whether you are moving homes, offices or single items in these parts of the capital. Our fleet consists of powerful MWBs, LWBs and SWBs with various capacity that are suited to moving projects big and small. Every single one of the vehicles in question is navigated through state of the art GPS system and safety gear that are not going to allow any incidents to happen to your goods while on the road. Our flexibility doesn’t end with weekend moving van booking. You can also call us for a last minute delivery and our team will be happy to help. Single item relocations typically require Transit vans and we constantly have one available for your project. Ask for your free moving van hire quote once you call us. We will go an extra mile for you. If you have any special requests or specific requirements, do not hesitate to get in touch with us and tell us what they are so that we can tailor our man and van in South London service in accordance to all of them. We, at Monster Man and Van, are a popular choice of company for clients who are searching for a properly licensed man and van in South London. However, our success in the industry is not simply connected to the advanced moving equipment and vans that we are using or to the diligent and qualified pros that we employ. If it wasn’t for the support of our client base, we wouldn’t have conquered so many new heights. Therefore, being as transparent as possible with them has turned into our main duty. Hire us and you will neither be overcharged not will you have to cover any surcharges. Our professional moving van services in South London are available for domestic and commercial customers at a reasonable price. We have adopted a clear pricing policy which means that there will be no unpleasant surprises at the end. The only thing that may catch you off-guard might be our scandalously affordable man with van services in South London. But moving, collecting and delivering items is not the only thing we do. Monster Man and Van has a dedicated team of cleaning technicians. They were professionally trained to carry out partial and complete end of tenancy cleaning in South London. With such an astounding selection of services, our trusted man and van in South London is simply like no other. South London is apparently about 50% of Greater London and the area can be pretty densely populated at times. If you are looking to see some of the attractions in the southern boroughs of UK’s capital then you better be aware of some facts about the public transport. For example North London has a far better underground transport network in comparison to South London. The London Underground and the DLR miss this major area because of its geographic layout and mainly because of the River Thames. However, the Tramlink is the best system to move around by which serves South London. It mostly serves Croydon with West Croydon station being in the middle of the system. Line 3 of the Tramlink starts at New Addington and connects it with Wimbledon to the west. Additionally South London is covered by a railway network which employs the third rail system. The Third Rail method is used for providing electric power. Such trains mostly serve South-west London. 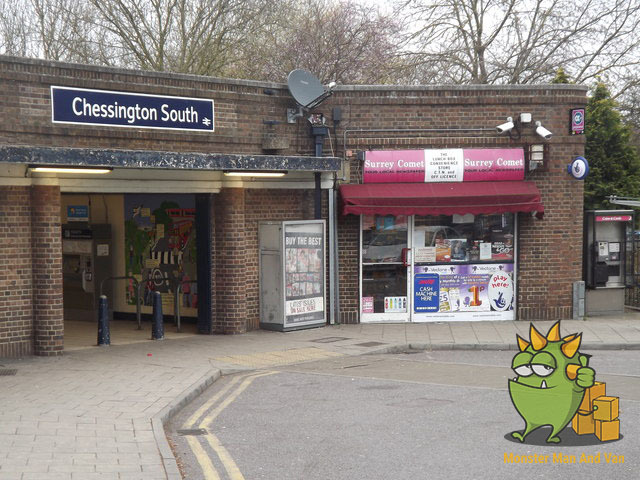 Chessington South railway station in the Royal Borough of Kingston upon Thames is basically the last or the first station of Greater London. It is served by South West Trains. You can get on a train there every 30 minutes regardless of how busy the time of day is. South London is a great place to live in. The town of Croydon is probably the most notable place here, both in commercial and residential terms. Landmarks such as the Chessington World of Adventures, Kew Gardens, Hampton Court Palace and the celebrated Eltham Palace and Gardens are just a few of the really great landmarks that you can check out upon your visit to the South of the River Thames. Even though South London is not well serviced by the London Underground, it does have a few busy tube stations on its eastern side which link this part of the English capital to Baker Street, Stratford and other strategic spots in the city. Many locals prefer to use the regular bus routes that go through South London. A more exotic way to travel to central London, although not necessarily a faster one, is to use a river bus. Monster Man and Van is the company to turn to when you are looking for the most reliable, efficient and even eco-friendly man and van South London covering services. Our trained and diligent professional movers and drivers are the people who you want by your side in the day prior to your moving day as well as the time for the actual relocation comes. We will not just haul your boxes on a van and drive off – our experts will carefully plan the whole endeavour, help you pack and oversee every little step of the job that you have hired them for. By doing so on every project, we have managed to become the most respected South London man and van company today. In order to make sure that the transportation services we deliver are truly of a world class quality, we maintain a large fleet of modern, clean, GPS navigated vans – MWBs, LWBs and SWBs – that come with all safety gear and loading tools that are needed for a stress-free moving experience. Our Man and van in South London teams are available on a very flexible schedule. Last minute booking, weekend and bank holiday jobs are not a problem with us, because we want to be ready to assist you at any time – and we are. Bromley, Croydon, Kingston upon Thames, Merton, Sutton, Wandsworth are the boroughs that at the present moment form the sub region of South London. Many great things happen in South London. For example, Merton is home to the Wimbledon Tennis Tournament – named after the district in the borough. Croydon is one of the major commercial centres of the capital. Even though South London suffered from high crime rates and poor transport links in the past, those problems are no longer a factor.